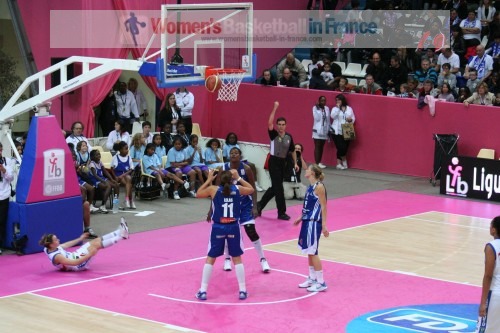 Nantes-Rezé's first victory at an Open LFB was spoilt 67 seconds before the end of the game when game MVP Bernadette N’Goyisa went down in pain holding her knee. She was put on a stretcher and her season is already over. N'Goyisa was the medical replacement for Doriane Tahane who is also out for the season. 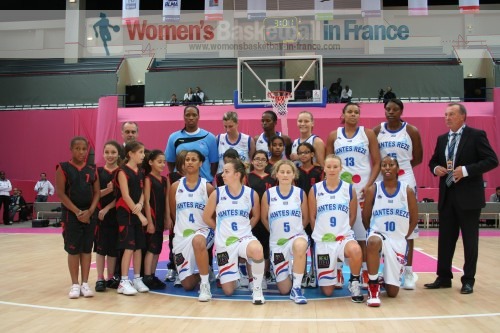 The match itself started very defensively with Nantes-Rezé edging the first quarter (12-7). 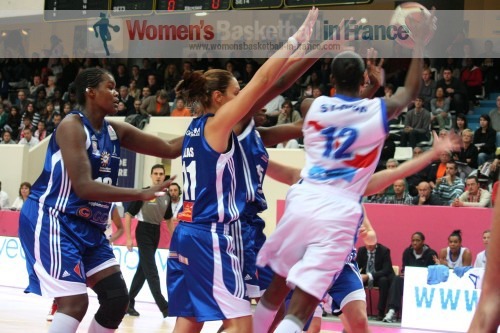 Montpellier started to play more aggressively in the second quarter. 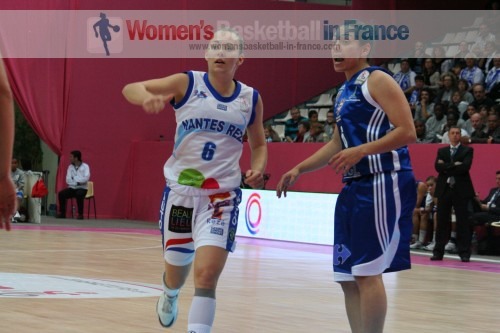 But under the impulsion of Caroline Aubert, who hit the first three-pointer of the game, Nantes remained in control. 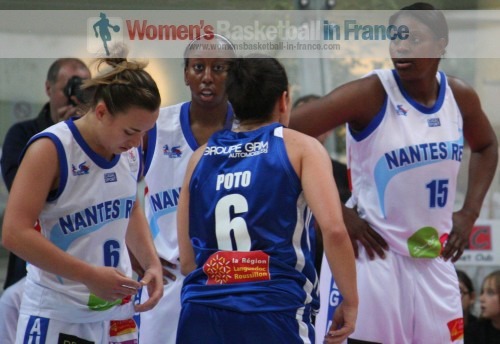 N’Goyisa (left) controlled the paint while with the youthful exuberance of Florine Basque and Sabine Niedola, Nantes went into the locker room leading (32-21). 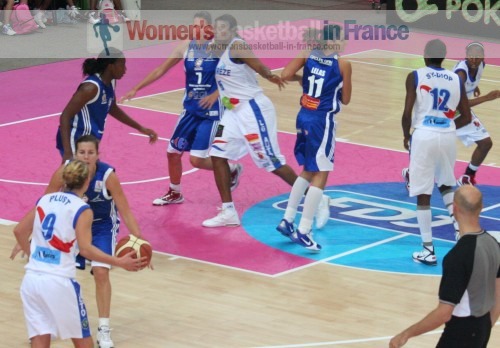 Montpellier finally started to play some basketball after the break. 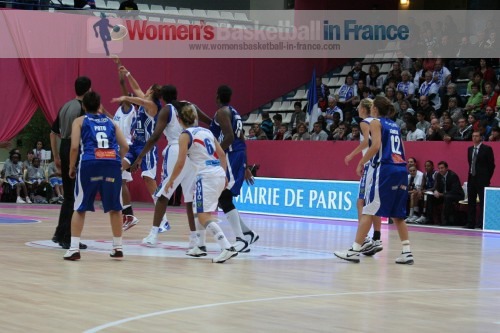 Ana Lelas and Gaëlle Skrela started to hit shots while Sandra Dijon-Gérardin kept everybody out of the paint. 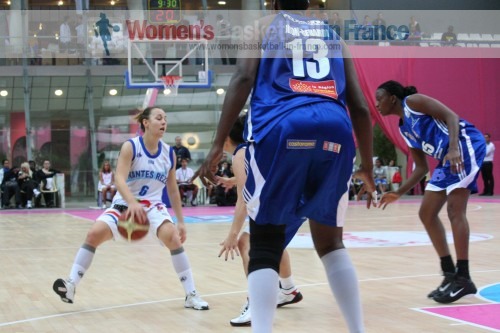 However Nantes with Allison Hightowner and N’Goyisa weathered the storm for their side to go into the final quarter ahead (45-36). 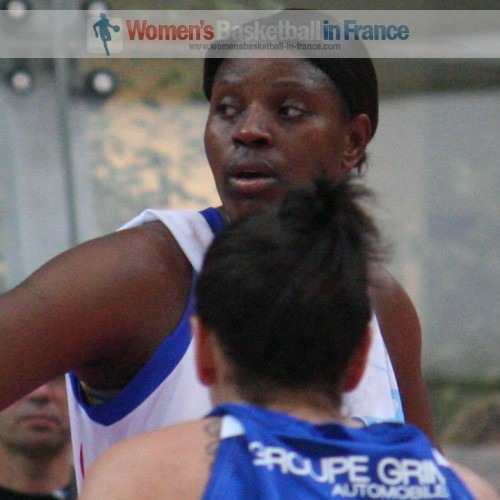 The last quarter was a demonstration by Nantes-Rezé and N’Goyisa as they knocked out the resistance of their opponents to win comfortably (66-49). Nantes have until Wednesday to find another center when they play again.